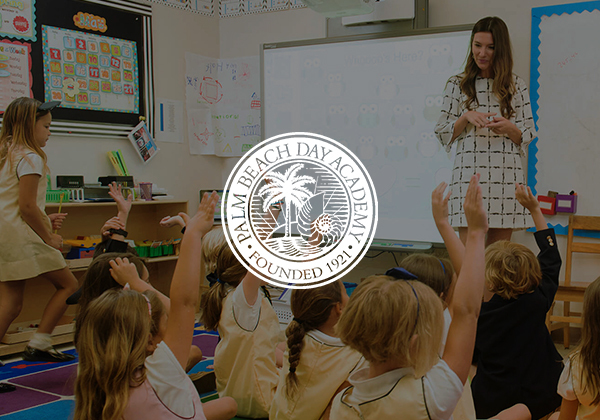 Striving always for the highest academic excellence, Palm Beach Day Academy has grown from a cottage colony school started in 1921 into an innovative, top-ranked day school serving nearly 500 students from the greater Palm Beach area. The educational program, for age 2 through grade 9, exemplifies the school’s vision to provide exceptional opportunities for academic development, intellectual growth, artistic and physical self-fulfillment, and moral awareness. Since 2015, Slatkow & Husak has been telling the great stories of Florida’s first independent school. Our communications plan includes a variety of focus areas for the school including educational programs, benefit galas, school events, board announcements, teacher and student accomplishments, administrative profiles, special presentations, partnerships, STEAM initiatives, new construction and donor gifts. The first outside firm ever retained in the school’s nearly 100-year history, S&H secures feature magazine placements, business and education stories, general print placements and TV and speaking opportunities.